Many people make the grievous mistake of choosing the wrong bong. While the most important step is obviously going to be the quality of the marijuana selected, a good bong comes a close second and can add to any experience. The method through which marijuana is consumed is very nearly as important as the quality of the weed itself. Choosing a bong can be a little difficult. 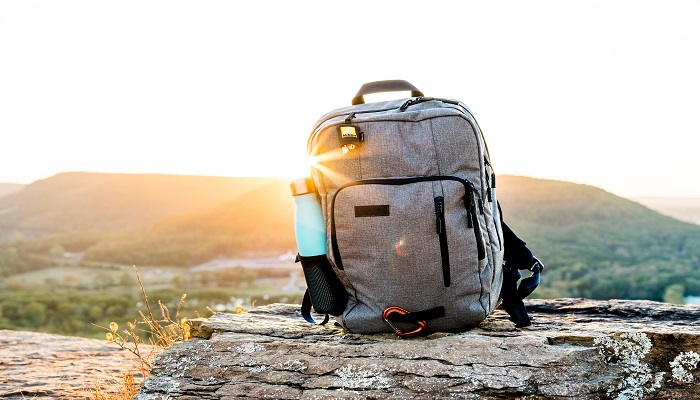 There is a lot of things to take into account, such as price, maintenance, availability, quality of smoke, portability, durability, difficulty of use, size, warranty, money-back guarantee etc. One of the most important items in this list is quality. You should want the smoothest smoke possible for a clean high that preserves your health. To make things a little easier, we have simplified things for you. Below is a list of the best five bongs in 2018, all available for under $100. Most of the following are glass bongs, as they are generally regarded as the best aside from the fact that they tend to break. Other than using a vaporizer, smoking from a bong is recognized as the healthiest way to smoke dried herbs. When smoking from pipes or joints there is a strong possibility that you will inhale ash, not to mention harsh smoke. Over the years, this smoke and ash will accumulate along your esophagus and lungs, which is not what you want. Far healthier, an important consideration over the long run. A more enjoyable mode of consumption with a smoother and cooler taste. Easier to use. No time needed to roll a joint and perfect for group gatherings. A good way to get high quickly and cleanly. Take your high-quality weed and grind it as finely as possible for a smooth smoke. Put water into your bong until it covers the downstem, around half an inch above. Place the material on the clean bowl. It must have good airflow. No need to overpack the bowl. Hold the bong with one hand while lighting the marijuana with the other. When the marijuana is combusting stop lighting it, but keep inhaling. The Eyce Beaker is created from platinum silicone. Its sturdy design ensures that it will not break if dropped and it is aesthetically pleasing with a sleek and futuristic appearance. The bong has everything you want for a good price - strong, easy to use, and functional. It also comes with a concealed rolling tray, ice catcher, and stainless steel tool. The Eyce Beaker retails at $69.00 and offers all the benefits of glass bongs, without the risk of breakage due to its robust silicone construction. The Eyce Beaker is capable of extracting flavors from the marijuana and cooling goes down to a highly impressive -3 degrees Celsius. There are a number of slick psychedelic type designs to choose from with this awesome beaker. 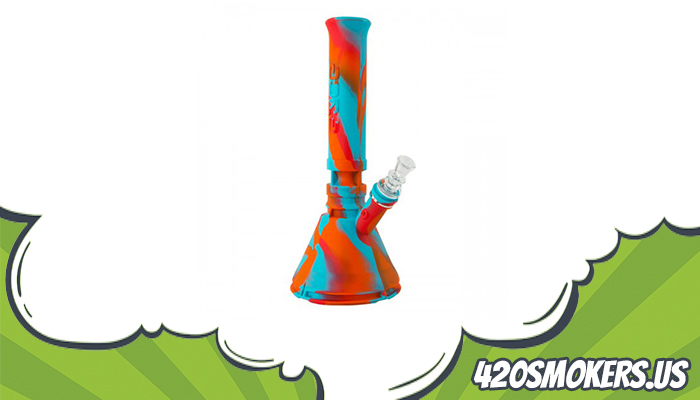 It has everything one could want from a bong - strong, high-quality, long-lasting, easy to use, and aesthetically pleasing in a variety of different designs. It features a premium grade water filtration system, for the smoothest and purest smoke possible, as well as boasting a borosilicate downstem diffuser. With a lifetime warranty and low price guarantee, it is the best bong on the market with no apparent disadvantages. This water bong retails a little more expensively than the Eyce Beaker, coming in at $99.99. It is small and portable, with a height of 8 inches and constructed from borosilicate glass. 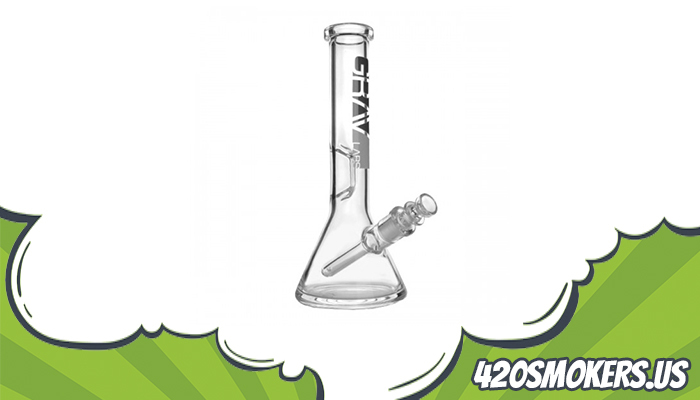 It features a smart design with a downstem fixed inside the pipe to prevent any breakages. A round base ensures that the bong stays upright while using and is more difficult to tip over in general. It is constructed of thermal resistant glass, unlike many of the other glass products on the market which have a tendency to break easily. A glass design means that the smoke picks up nothing from the material, leaving a pure smoking experience. With its heat resistant air channels, the hit delivered is cool and soothing. The main advantages of this standardized glass pipe are similar to the Eyce beaker, However, this is transparent and round, while the Eyce Beaker is beaker shaped and not clear. For those looking for a simple and high-quality water bong, look no further than the Grav Labs water pipe. The Eyce Mold 2.0 is arguably the slickest product on the list thus far. It retails at $89.99 and is insanely durable, with a diffused downstem and compatible with 9mm or 10mm slides. This is an ice bong capable of reaching lows of -3 degrees Celsius. Just fill the mold up with water and freeze for twelve hours or so. The Eyce Mold 2.0 is flexible and can stand extreme temperatures. For those who like icy smooth hits, the Eyce Mold 2.0 is among the best there is. It comes with all of the necessary accessories you need to make your personalized ice bong, including a core pin, silicone plug, and diffused downstem. For people sick of glass pipes that break, the Eyce Mold can be a viable alternative. It is constructed of platinum grade silicone and comes in a variety of design. Its icy functionality along with its durability are its main strengths. 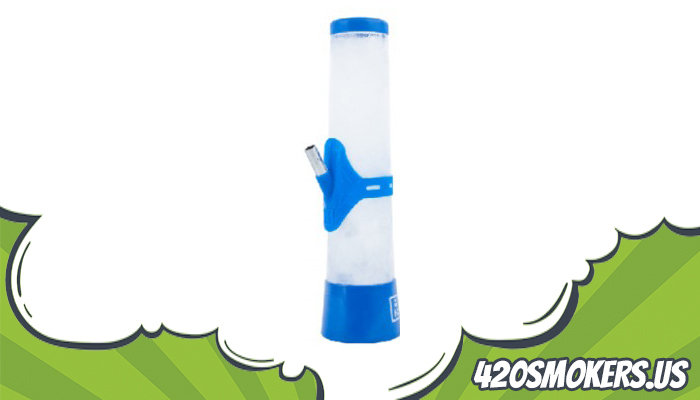 For those who cherish a cold and clean hit, the Eyce Mold is an excellent choice. Like all high-quality glass bongs, the Grav Water Pipe is terrific for ensuring a top notch inhale. The beaker design is elegant in its simplicity without going over the top with elaborate features like many other variants. The product retails at $99 and its fixed fission downstem diffuses smoke into the water for a smoother hit. It is constructed from borosilicate, the best type of glass design. The beaker design is excellent for preventing tipping and this 8 inch pipe is portable, though it has to be carefully stored. Where the Grav Water Pipe really excels is in its advanced features. While its simple design might appear lacking for those who crave exotic appearances, the futuristic extras more than make up for it. It comes with a geometric mouthpiece and a 14mm cup bowl. The mouthpiece catches ice and prevents water from splashing upwards. The downstem is fixed inside the pipe to prevent it from breaking when it is being carried on the go. Last on the list of top quality bongs is the Brandz Strawberry Water Pipe. Constructed from borosilicate glass, this is a type of bong that also lends itself to travel, like all of the sturdy glass bong products. It is among the cheapest items so far at just $74.99. It is also one of the smaller items available, at just 7 inches as well as weighing only one pound. Small, strong, light, and a good bargain for money. This bong also comes with a percolator to diffuse smoke into the water evenly so you get a better inhale. Additionally, there is a reason why it is called the ‘Strawberry’ Water Pipe. It is perfectly designed to extract the maximum aroma from the herbs. With its sturdy design of thermal resistant glass, compact height, low weight, percolator, and maximum aroma extraction, this is an excellent buy with very few drawbacks. What's the best portable bong type for cannabis? There are a wide variety of bongs available for purchase. In fact, there are so many different methods to smoke weed nowadays it is becoming difficult to keep track. 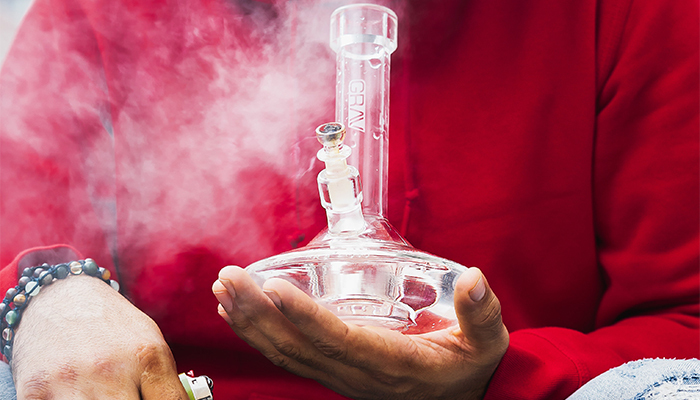 The bong is still one of the most popular and efficient ways of smoking marijuana. Yet even within the category of bongs, there are too many to go into in detail. Below is a list of the most common bong types, and the categories can sometimes overlap. Additionally, this list is not exhaustive, as there is much innovation in terms of marijuana consumption methods. Straight Tube Bong - This particular bong is one of the most simple designs available. A straight circular tube sealed at one end with a bowl on the side for lighting the product. Pour water, light marijuana, smoke. Beaker Shaped Bong - Similar to the straight tube bong, except these bongs are shaped into a cone near the end. Round Based Bong - Same as above, but spherical at the end. Multi-Chamber Bong - This device is a little more sophisticated, and these bongs are more difficult to locate. Essentially, there are 3 chambers and the smoke is filtered twice, producing a much smoother smoke than the three bongs listed above. However, multi-chamber bongs are more expensive and harder to clean. Percolator/Bubble Bong - These bongs can be any shape, what makes them unique is that they contain a piece of glass that dissipates the smoke before it hits the water (i.e the percolator). This causes a bubble effect in the bong. It is possible to get multi-chamber and single chamber percolators. A better smoke than other bongs, but more expensive and difficult to clean. Bucket Gravity Bongs - This kind of bong relies on the vacuum left behind when water leaves a space. The simplest type of bucket bong uses a bucket of water and an empty plastic bottle. A common variation of the bucket gravity bong is the waterfall gravity bong.